Real food is easy to make, delicious and good for you. 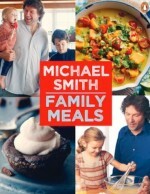 Michael Smith, a passionate advocate for healthy homemade meals enjoyed around the kitchen table, knows what it takes to keep cooking simple and chock-full of natural, wholesome ingredients. 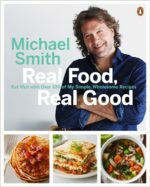 In Real Food, Real Good, Michael shares more than 100 brand-new recipes with ingredients that are great choices for a healthy lifestyle. Life is busy and sometimes it’s a challenge to get a healthy home-cooked meal on the table. Want to avoid the time pressure of cooking from scratch every day? Looking for fresh ways to save time in the kitchen and still turn out great-tasting meals? 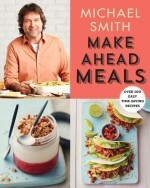 Michael Smith knows what you are up against and is here to help you keep time on your side in the kitchen. Wondering what to make for dinner that everyone in the family will enjoy? Looking for simple and delicious recipes to make for breakfast, school lunches, and weekday dinners when you are short on time? Want to make mealtime fun and get your family involved in the kitchen? Stress no more: Michael Smith is ready to save your day! Michael is his family’s cook and has been creating delicious, healthy meals for them for years. Now he’s here to help you make–and enjoy–great-tasting dishes while you satisfy even the pickiest eaters in your family. Chock full of mouth-watering photography to inspire, Back to Basics is Michael’s simple approach to cooking basics that he wants to share with every home cook. Once you understand the basics behind a recipe, you can then stir your personality into your cooking. You’ll see how easy it is to impress family and friends in your own kitchen. And, once you know the basic rules, you can break them. You’ll never get stuck making a dish just one way! Speedy recipes in minutes! Fast Flavours is all about creating great meals in minimal time. 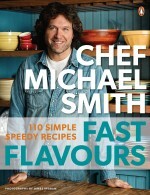 Full of fun flavours, Chef Michael”s fast and simple recipes will get you cooking every day of the week without spending too much time in the kitchen. Packed with 110 mouth-watering recipes, Fast Flavours will get you through a busy week with simple, speedy meals while showing you how to slow down on weekends or when you have more time on your hands. 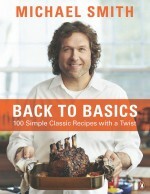 I cant wait for the Fall launch of my new cookbook! This time I’m sharing all my favourite recipes and stories. Watch for it this Fall or pre-order it now. 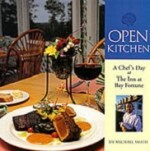 This is my fourth book and the second devoted to our series Chef at Home. The last book was written after just one season of the show, this one draws from all six. Think “Essential Recipes for Today’s Kitchen.” It’s full of the genuinely useful stuff that we all need in a cookbook: pancakes, beef stew, chicken noodle soup, lasagna, salad dressings, vegetable ideas, after school snacks, apple pie and of course chocolate chip cookies. No foie gras. No fluff. Nothing but today’s flavours. Each recipe covers the basics you need but they also include lots of insight and freestyle suggestions so you can impress yourself in your own kitchen! 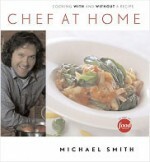 In this companion cookbook to Chef Michael Smith’s hit Food Network series “Chef at Home,” Michael welcomes you into his Prince Edward Island home and encourages you to cook with-and without-a recipe. 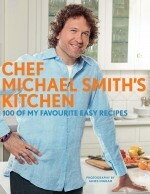 Michael reveals a new, open approach to cooking that will change the way you create in your own kitchen. Every page is packed with delicious meals, kitchen insight, and culinary adventure. 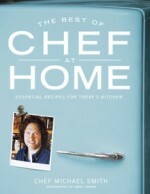 Chef at Home emphasizes simple, stress-free cooking and is loaded with real-world tips from Michael’s 20-year career as a chef. You LOVE the chef and the TV show. 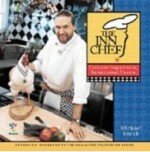 Now, enjoy Michael Smith’s wit, charm, and creative country inn recipes over and over again in the delicious pages of THE INN CHEF companion cookbook. Over forty dishes from the show include anecdotes, interesting food facts, and of course Chef Michael’s detailed recipe instructions and chef’s hints. Plus, fans of the show will want to read all about Michael’s antics behind the scenes when the cameras aren’t rolling or the answers to his favorite viewer e-mail questions. In OPEN KITCHEN, Michael Smith invites you to spend the day with him in his kitchen at The Inn at Bay Fortune in PEI to learn all of his cooking secrets. Written as a timeline of Michael’s day from breakfast to dinner, OPEN KITCHEN features over 40 contemporary creative dishes that have made the Inn one of the top 12 dining destinations in Canada. Plus, take some of Michael’s “Taste Tests,” master his “Chef’s Hints,” see how the techniques and equipment that are the foundation of a professional kitchen can apply to the home cook, and read about Michael’s journey from small-town cook to internationally renowned master chef. We have a lot of fun creating these Chef Michael Smith signature items and sharing them at my Flavour Shack throughout the summer. In an effort to continue to serve you during our off-season, we’re now excited to have them available for purchase online as well. Yup, it’s all signed too! 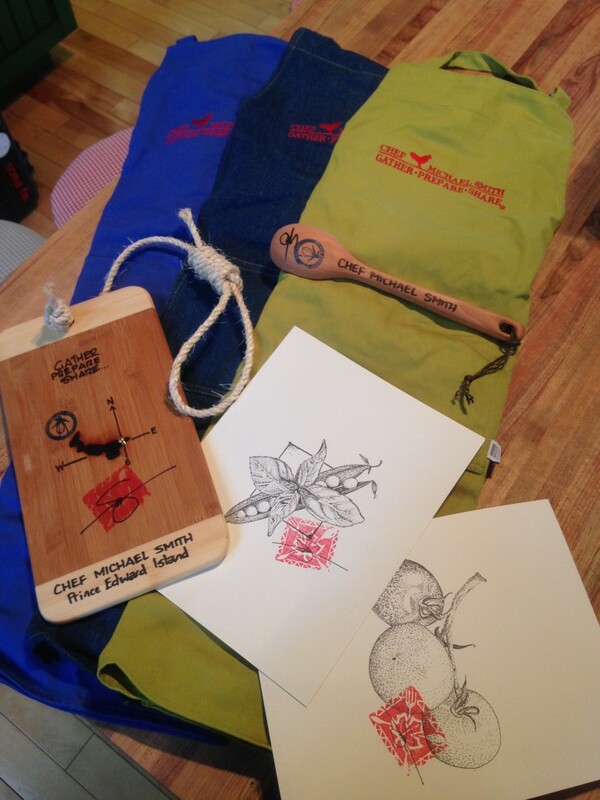 For more details or to place an order please contact info@chefmichaelsmith.com. Currently shipping within Canada. All items are subject to applicable taxes and shipping charges.